Looking for Overload Relays? Get a quote fast. What is a relay switch? An overload relay, also referred to as a relay switch, is a device that opens the circuit in the event of an electrical, thermal or power overload. When mounted with a contactor they create a motor starter. Overload relays are normally closed, meaning they only open if they experience an overload. They are used to protect motors from damage in a number of applications across industrial and commercial sectors, among others. They are available in a number of current ratings which can be adjustable on some models. Common types of overload relays. Overload relays are typically one of two types: thermal relays or electrical relays. The overload mechanism inside thermal relays consists of a bimetallic strip in conjunction with a heating element. When the heating element experiences an excessive current, the bimetallic strip bends and opens the normally closed contact, thus interrupting the circuit. These have adjustable current ratings to meet a variety of application requirements. On the other hand, electronic relays rely on electrical components which measure the current flowing through. While these are more accurate and are available across more current ratings, thermal relays can be more cost-effective. Overload relay switches at your fingertips. Looking to buy a new relay switch? Look no further than Bay Power. We proudly stock an extensive variety of electronic motor protection relays from leading relay manufacturers. 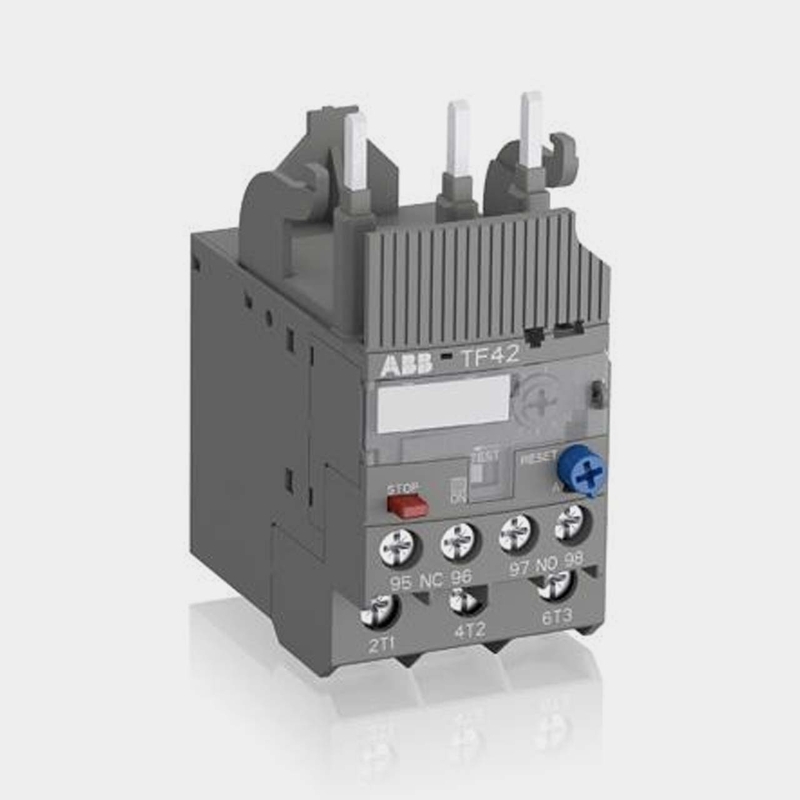 Take your pick from ABB motor protection relays, Crydom solid state relays, GE motor protection relays, Pilz safety relays, Thermistor protective relays, Allen Bradley protective relays and more. So whether you’re looking for a thermal relay, a solid state relay, a low voltage relay switch or a high voltage relay switch, you can always count on Bay Power to provide you with the overload relay you need, always with a one-year replacement warranty. Motor overload relays are designed specifically to handle all types of overloads in AC and DC motors and protect motors from potential damage. 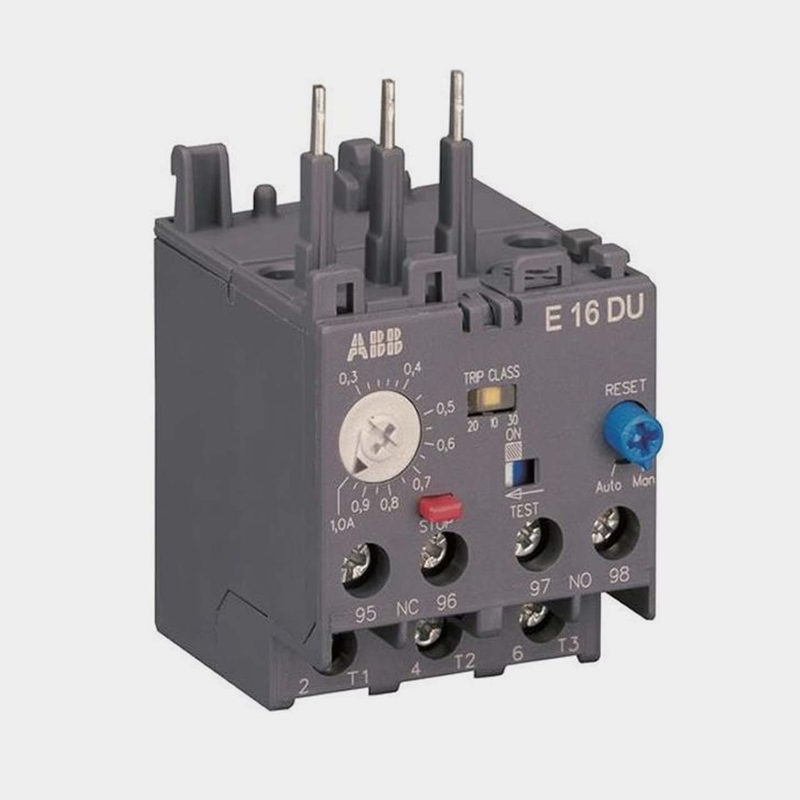 Available as either an IEC relay or a NEMA relay, motor overload relays can be used for a number of applications and can be either electronic or thermal. Solid state relays are a type of electronic relay that has no moving parts. They utilize transistors and sensors among other electronic components in order to detect an overload. 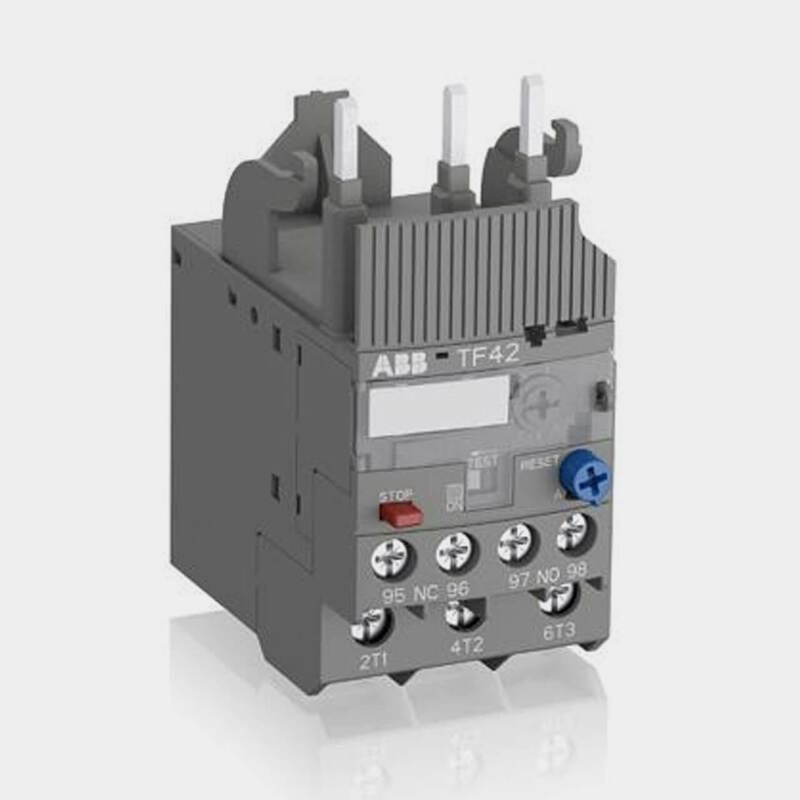 They are preferable due their accuracy and their fast switching speed, as well as their applicability in low voltage and low current applications. Thermal overload relays rely on a bimetallic strip and a heating element in order to detect an overload and prevent the motor from experiencing any subsequent damage. They are a reliable cost-effective option. 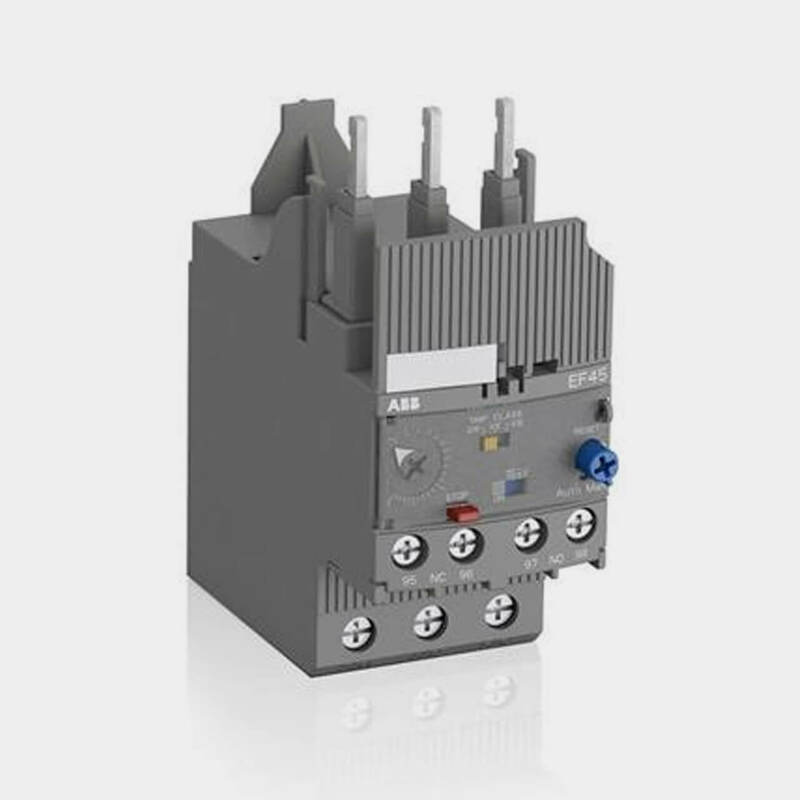 Both IEC relays and NEMA relays can be configured with a thermal overload mechanism. Have any old or unused Overload Relays lying around? Don’t get rid of them just yet. While we stock a wide range of quality electrical products and solutions, both new and reconditioned, we also buy back your unwanted equipment. So, before deciding what to do with your old Overload Relays and components, have one of our expert technicians take a look to see if we can save a few parts, save the environment, and save you some cash. Great service shouldn’t end after the purchase. We pride ourselves on the relationships we build with our customer-first mentality and the quality of our Overload Relays and components. That’s why we offer a 1-year replacement warranty on all of our electrical products and solutions from the top manufacturers. Because when you buy with Bay Power, you buy with confidence. We are proud to stock a variety of competitively priced, new and reconditioned components from the leading manufacturers of Overload Relays. Thanks to our extensive inventory of Overload Relays and components, our resourceful and expertly trained staff will always be able to get the products that you need. Through our extensive network of suppliers, we are able to carry and acquire a huge variety of electrical products and solutions, so chances are if you need it, we can get it. Bay Power’s priority is providing you with reliable, high quality electrical hardware. That’s why our mission is to make sure our reconditioned electrical products and solutions function as perfectly as the day they were built. Because while the quality is high, the cost of Overload Relays shouldn’t be. Our selection of new surplus Overload Relays may not arrive brand new in a box, but they function just as well, and have never had electricity run through them. All of the quality, none of the packaging, always with our 1-year replacement warranty.